The volatility of global financial markets and reduced global demand for energy has undermined Russia’s financial security and its sustainable economic growth. Improving the stability of Russia’s financial system is a strategic objective, which Russia must achieve to successfully integrate with the international community. The volatility of global financial markets and reduced global demand for energy has undermined Russia’s financial security, its sustainable economic growth and the stability of its financial system. Growing financial integration and interdependence between financial markets, as well as an increase in bankruptcies of major financial institutions has had a destabilizing effect on Russia’s economic growth and could trigger a financial and economic crisis. Improving the stability of Russia’s financial system is a strategic objective, which Russia must achieve to successfully integrate with the international community. In order to develop recommendations on overcoming the crisis and increasing the resilience of Russia’s financial system, it is essential, first, to identify the criteria, indicators and tools needed to understand the latent destabilizing processes driving the financial system toward collapse. Any solution must take into account two important factors: first, the complexity of Russia’s financial system, with its numerous interrelated business processes (lending and banking, foreign exchange, stock, and fiscal); and second, the financial and economic crisis of 2008-2009, which hit Russia hard due to its economic dependence on exports of raw materials and its vulnerability to drastic fluctuations in their prices. Partly due to these features, the Russian financial system is riskier and more volatile than financial systems of developed and even some developing countries. 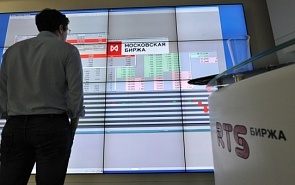 Today, the Russian financial system remains a popular choice predominantly for speculative investments and "hot money." Russia’s role in global finance remains negligible. Its share of global financial assets is only 0.6%, which is lower than its share of world GDP, which was 4.0% in 2012. In addition, Russia is lagging behind other emerging financial markets and other BRICS countries in a number of other indicators. One third of global financial assets are owned by the U.S., which is the main driver of growth and stagnation in the global financial system. Other major players are the Eurozone states, Japan, China and the UK, which account for 23.6%, 14.8%, 6.7%, and 4.8% of global financial assets, respectively. These circumstances define the complex external environment facing Russia’s economy and its financial markets in 2013-2014. The structure and significance of individual sub-systems of Russia’s financial system vary. For example, Russia’s economy heavily depends on its banking system, the stability of which is of particular importance. As a result, there are numerous studies in this area. In recent years, the Bank of Russia has conducted a macro-prudential analysis and assessment of the current state of the Russian banking system. The main approaches involve stress-tests, monitoring and stability estimates. At the same time, there is a clear shortage of studies devoted to the financial system’s overall stability, despite the fact that threats posed by the external environment are growing. The recent volatility of global financial markets is due primarily to the debt problems of developed countries. The debt-to-GDP ratio, or the relative level of federal debt to GDP, has surpassed 100%, which is an extremely high level last seen in the years following the end of World War II. The current colossal debt level is the result of unprecedented programs to support the financial sector as well as unrestrained fiscal policy. In terms of the debt-to-GDP ratio, Russia is in a better position than other G20 countries. However, this does not take into account the dependence of Russia’s federal budget on oil and gas revenues. A severe crisis like in 2008-2009, characterized by plummeting oil prices, could cause severe economic damage. Another disturbing macroeconomic indicator is Russia’s growing external debt. As of the end of the last decade, there has been an upward trend in the private sector’s external debt, while the government’s external debt has declined. Even though Russia has the third largest international currency reserves in the world, they are lower than before the 2008 crisis, though still sufficient to protect against demand fluctuations in the short term. One serious problem is capital outflow. According to a forecast of Russia’s Ministry of Economic Development, capital outflow in 2013 will total about $50 billion. However, according to preliminary estimates reported in February, Russia’s capital outflow in January alone was $10.8 billion, which is greater than the capital outflow reported for last year’s fourth quarter. According to experts, Russia’s financial sector has weaknesses at both the meso-and micro-levels. Its financial institutions remain underdeveloped in comparison with developed countries and a number of developing countries, such as the other members of BRICS. All these problems impede the successful development of Russia’s financial system and make it difficult to maintain stability, ensure liquidity in the banking system and transform savings into investments in order to modernize the Russian economy. We believe the current model of financial regulation and supervision in Russia cannot ensure the stability of its financial system. This model is inherently incapable of performing this function, as it is geared toward guaranteeing the stability and financial health of the system’s individual elements. A new regulatory model is required to identify the criteria, indicators and tools needed to detect and prevent destabilizing processes and to ensure the stability of Russia’s financial system. The authors are laureates of the Valdai Club Foundation Grant Program.